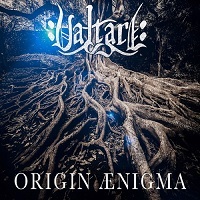 VALTARI is a Melodic Death/Melodic Black metal entity from the mind of one musician, Marty Warren. Blending a unique mix of Scandinavian and Australian influences to create a powerful, emotion driven sound that can sooth and inspire the listener while remaining brutally fast and heavy. VALTARI began as a nameless project in mid-2010. The style that Marty would eventually pursue began to take shape after years of defining what it was that made up the best parts of extreme metal from around the globe. Drawing on influences such as BEFORE THE DAWN, INSOMNIUM, ENSIFERUM, DIMMU BORGIR, LORD BELIAL, BE’LAKOR and early IN FLAMES, 2011 bought serious song writing to a head with the project becoming a tangible entity; VALTARI was born. “Oblivion” opens with a bevy of various melodies before settling into a main groove. Lead guitar melodies dance above a bed of harsh vocals, lifting the song into the clouds. The death vocals rattle your soul, while the melodies cut through them like a ray of sunshine. “Your Enemy” opens with a swinging mid-tempo riff and then double bass comes in. It turns dark, like someone hit the light switch and becomes harrowing. But, those guitar melodies are back, offering some light in a blackened room. “Blinded” opens with a sound that reminds me of older IN FLAMES, or perhaps where they band would have been today if they stayed the course. The melody is in the guitar work, and they build it nicely here, especially with a blistering guitar solo. “Origin Enigma” opens slowly with harmonized guitars, until the vocals come in, incensed, with raging percussion. The melodies are high in the chorus, soaring above mountain peaks. It has a regal sound overall, like witnessing the coronation of an undead king. “All for You” opens with a faster sound and some more chaos. It settles into a groove about half way through, and you can feel the emotions starting to take hold. “Taste Your Victory” opens with lush piano notes and a guitar riff high in melody. The piano is a welcomed edition to this song and gives it some texture. A break with lead guitars takes you on a journey to the stars. “Memories Fade” opens with a slow grind of guitars, bass and drums. The guitar harmonies are intricate but accessible at the same time. It has a sad and solemn tone most of the time, and makes you think of memories that have passed. “Forever” opens with some shifting meters before the lead guitars come in and provide direction, with powerful vocals. “Towton 1461” goes heavy and aggressive from the beginning, forging out a temple with deep roots in the mountains. It crushes you with its weight and is probably the heaviest song on the album, but those subtle melodies remain. “The Great Unknown” closes the album, with a majestic riff that breaks down structures, smashing through them with fury. Some piano returns and ads a nice layer of melody, and it end as it started, heavy and furious. Overall, Melodic Death metal can be a lot of different things, but what Marty created here was solid, unbreakable and done with the resolve of vengeance. It’s traditional in the sense that there are no clean vocals, or “over-the-top” melodies that spring up out of nowhere and then retreat. No, it holds true to the tenants that started this genre, but with a deeper and richer sense of the formulas used to create it. It took me back, a solemn but affirmative reminder of why this is such a strong genre in the Metal community.